Dimensions: 70 x 220 cm (27 x 86 inches). 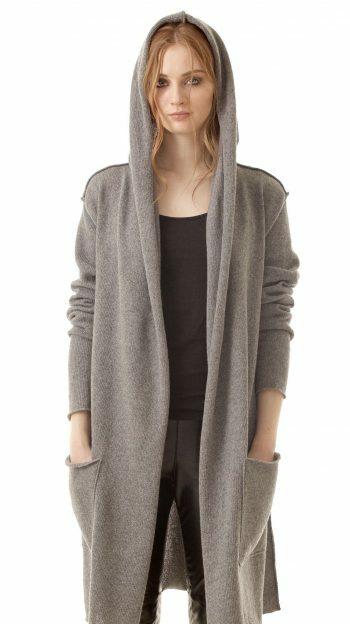 Available colors: black, grey, off-white, camel, dark blue. 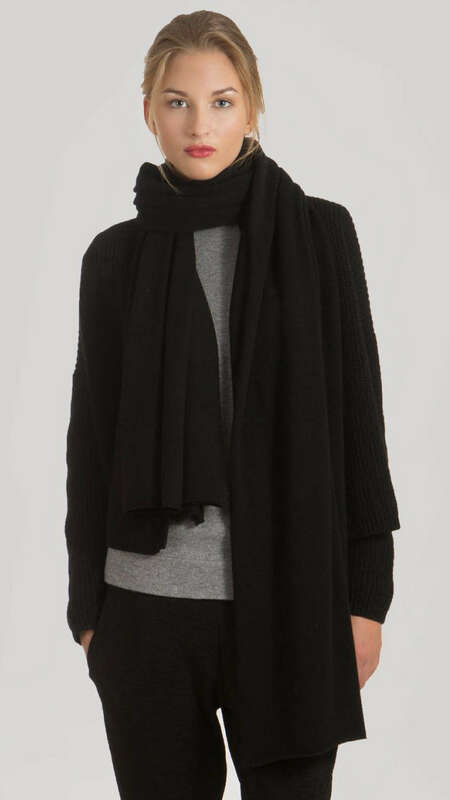 Similar product: black cashmere scarf KIM WIDE. 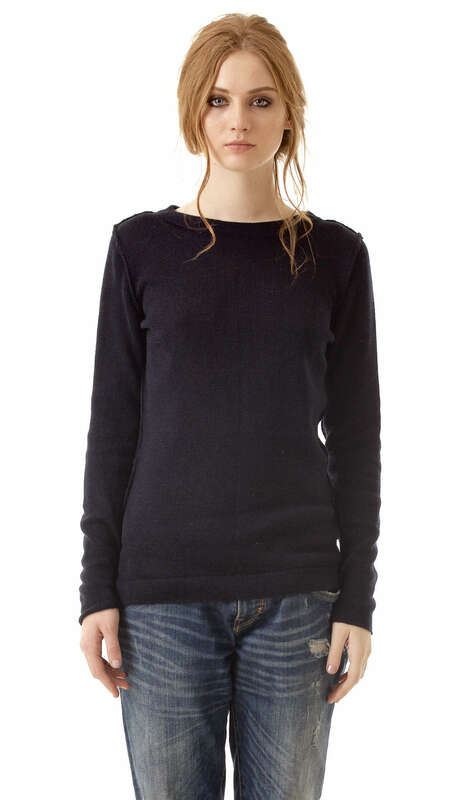 KIM scarf is combined with cashmere crewneck sweater KAREN and cashmere crewneck sweater ANNA. 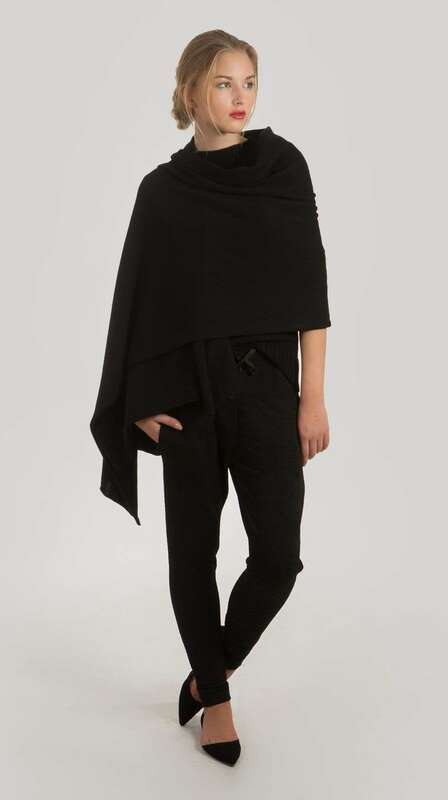 Black large cashmere scarf KIM is made of softest premium Italian cashmere. 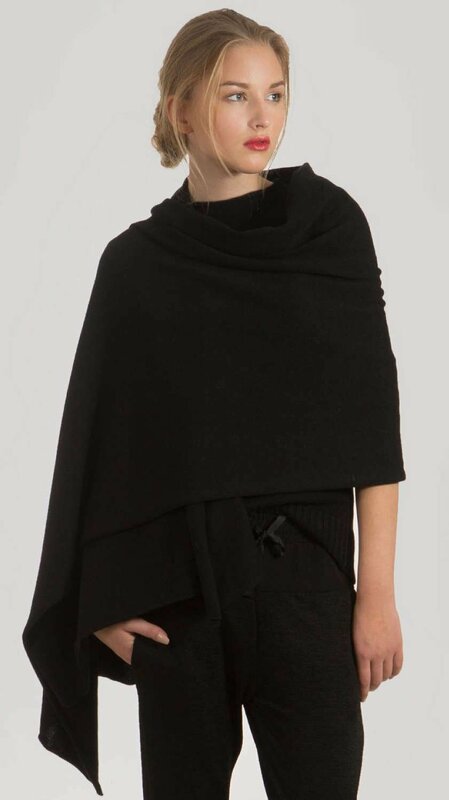 This beautiful lightweight knit cashmere scarf features oversized silhouette, perfect wrap for layering. 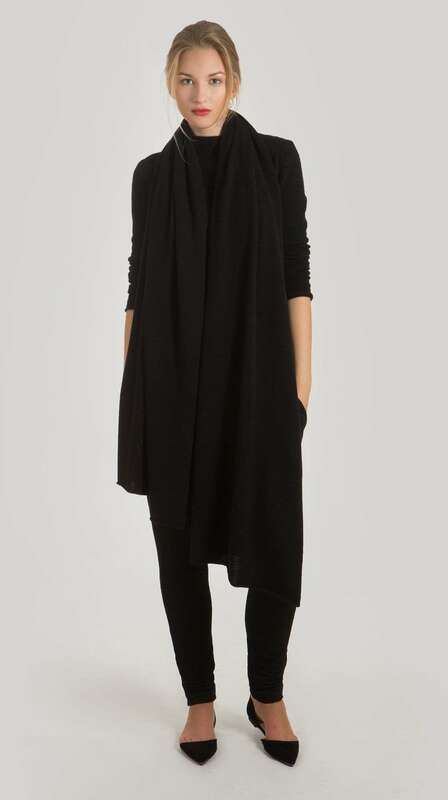 Can be styled draped over the shoulders or wrapped around the neck. 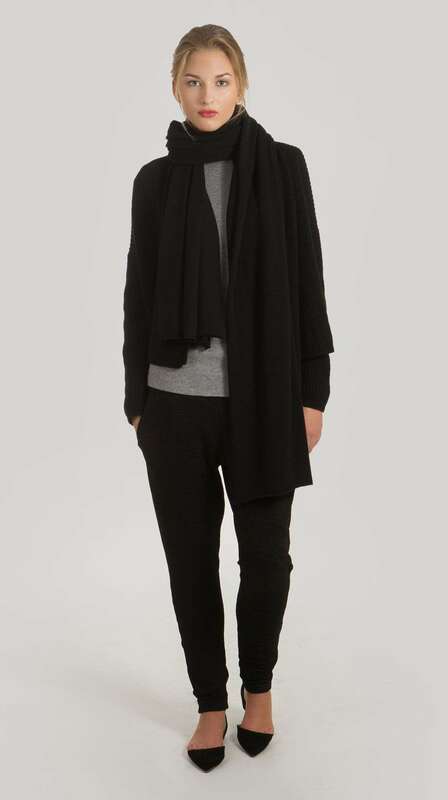 You can wear it both in winter time as well as a wrap in colder spring and summer days as a chic accessory of your outfit. It’s also a perfect gift for someone you love.